More and more corporate businesses are realising that wellness in the workplace is important in keeping employees healthy and fit for work. 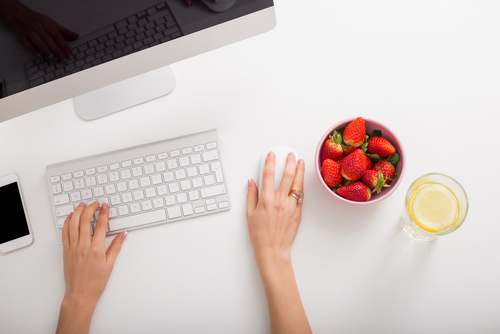 If we as Dietitians can encourage healthful eating and behaviours while at the workplace, employees will feel better, have more energy, and be more productive. In addition, they’re more likely to continue following these behaviours outside of work and sustain healthful lifestyles over the long term. Do you want to boost company morale and reduce sick-days? By working individually with workers and in groups, in the corporate/business setting, employees can lose weight, improve blood pressure, and increase employee morale. Why Bring a Dietitian on Board? It’s part of a Dietitian’s role to educate, engage, empower, inspire, and motivate people to make health changes, so why not bring a Dietitian to the workplace where employees can link in with one. Dietitians are trained and have a vast background in many aspects of nutrition. We have a skill set that works very well within our coaching programs. Dietitians at Inside Out Nutrition are trained in motivational interviewing and this can be applied when helping employees adopt lifestyle changes to better their health. Whether it’s by leading the charge with weight loss programs, individualised nutrition clinics, or even cooking demos, Dietitians’ are finding there’s more than just one place for them at the table of work-site wellness. What Services Can Dietitian’s at Inside Out Nutrition Offer? Many companies offer health screenings that provide employees with information about their current health status and alert them to health risks they may be unaware of. Dietitian’s can carry out and explain how to improve parameters like waist circumference, weight, fat mass, BMI and give dietary strategies to help improve high cholesterol and blood pressure levels. Your Dietitian can help employees achieve various weight loss goals, both one-on-one through clinic sessions and as a group with company weight loss challenges. Gillian recently worked with one client company to help dozens of employees in their efforts to drop pounds through an 8-week weight loss challenge. Clients participated in weigh-in’s every week with waist circumference being tracked at week one, four and eight. Everyone’s weight was tracked individually. The winner was based on percentage of weight lost. Gillian is also the Founder of iPortion Tools which are tools to help people portion their meals for healthy eating and weight loss. 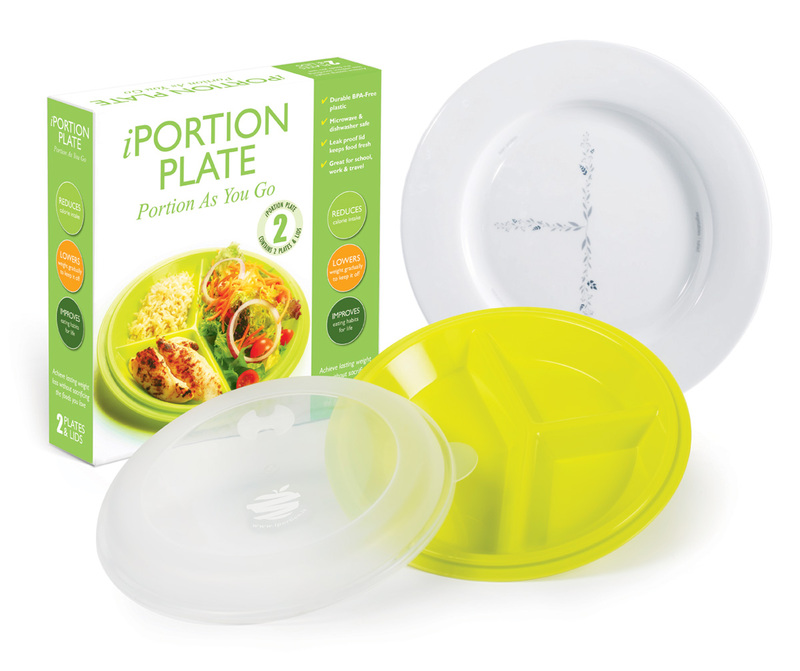 iPortion Plates can be incorporated at part of weight loss challenges to help clients along with their healthier journey. 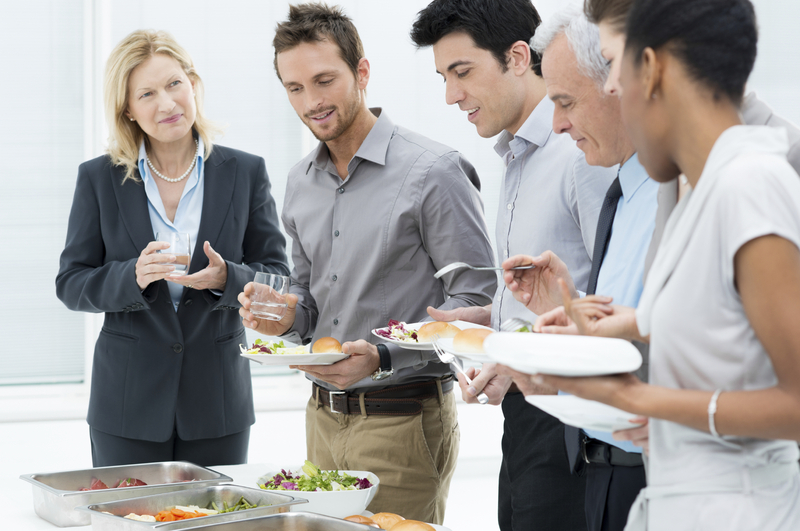 Lunch ‘n learn is a casual meeting with employees during lunch time; they bring their lunch or lunch is served—where an informational nutrition topic is presented and there’s a discussion on the topic among the presenter and the employees. 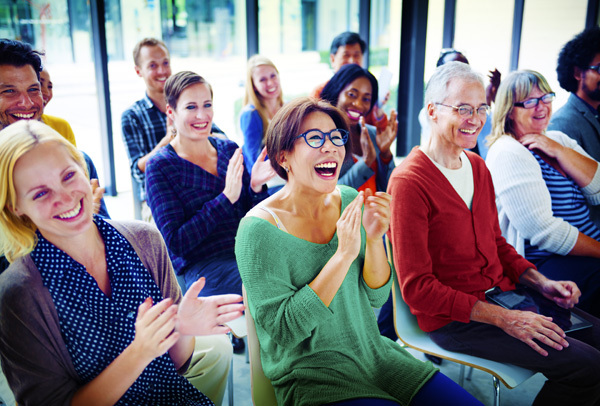 Presentations are optional for the employees to attend, many organisations can set up presentations to be listened to via the web at the comfort of their own desk. Topics range from basic tips on healthful eating to smart snacking, but also specialised topics such as heart-healthy nutrition, gut nutrition or decoding food labels can be covered. Dietitian’s at Inside Out Nutrition can also be present at health fairs, set up nutrition awareness tables, and cooking demos in work canteens. All of which can be a fun way to engage employees. Group Wellness and Nutritional seminars – Fun and interactive staff health seminars on a range of nutrition topics. Practical Nutrition Workshops – Supermarket tours and healthy food demonstrations and samplings. Participation in Health Expos – Smoothie stalls, food sampling and one on one consultations make for a perfect addition into any health promotion initiative. Tradeshow & Event Representation – Have a professional dietitian represent your company in a highly professional manner. Individual Employee Nutrition Consultations – One on one consultations to provide individually tailored nutritional advice. Catering Review Services – Helping shape your workplace as a supportive environment for healthy habits. Advice on ingredients and product labelling – with a change in legislation around food labelling, companies need to be keeping up to date on current practice in this area.